Dermal Fillers can be used to effectively treat lines and wrinkles as well as re-shaping the nose. If you would you like to soften facial wrinkles or lines, or perhaps add more volume to any areas of your face, such as your cheeks or lips, you should consider Juvederm. Juvederm is a sterile dermal filler gel that’s injected into the skin to smooth out wrinkles or scars, or anywhere on the face that need to be plumped or filled. The active ingredient is hyaluronic acid, it is naturally found in your skin. Over time, your skin loses collagen and its natural hyaluronic acid. As a result, it gets thinner and less supple. Juvederm restores your skin back to its more youthful contours by stimulating your skin’s own natural collagen and also hydrates the skin to give a subtle volume and a softer, more youthful appearance. The smile lines or naso-labial lines (nose-to-mouth lines), cheeks, lips and the marionette lines (downward lines from the corners of the mouth) are the most common areas. However, Acne Scarring and any other lines can be treated. Nose shape can be corrected also. I combine it with anti-wrinkle treatment on the face to create total facial rejuvenation. Like all injectable treatments, it may trigger cold sores. If you have a history of cold sores on your face, I prescribe an antiviral tablet to reduce the risk of an outbreak. It’s best to avoid taking aspirin, ibuprofen and Vitamin E prior to treatment, because they can increase bruising. There may be some very minor swelling after the treatment, but this will go in a matter of hours. Profhilo is the first BDDE-free stabilised injectable hyaluronic acid (HA) based product for treating skin laxity. 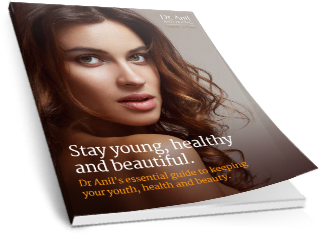 It has one of the highest concentrations of HA on the market and is not only boosting and hydrating to the skin, but it also remodels the ageing and sagging tissue. The product remains in the skin for around 28 days and during this time it encourages the stimulation of 4 different types of collagen and elastin resulting in significant tissue improvement. Many of my patients tell me that they really want to soften their wrinkles or plump their lips, but they want a subtle, natural look. To be honest, it’s not the product that dictates the result, it really depends on the person doing the treatment and the technique they use. I personally think subtlety is the best. And most of my patients do too. I am conservative when treating patients, more so if it’s their first time. I intend to help you look like a more rejuvenated version of yourself. 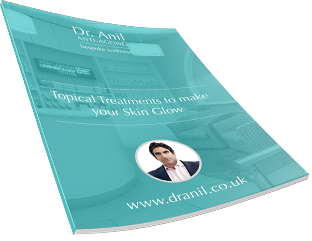 Your treatment will be planned carefully, understanding your goals and expectations and then selecting the appropriate product for you. Sometimes, the procedure and treatment is done in stages so the end result is natural. After assessing your face in the mirror, we can decide together on the best course of treatment and I will show you what the end results may look like. A numbing cream can be helpful prior to the injection but the injections also have a numbing ingredient so a cream nay not be needed. The filler is then injected in small amounts using a very fine needle that won’t hurt. Results can be seen immediately, improving in the following days and weeks. Juvederm slowly degrades. It can last up to one year. 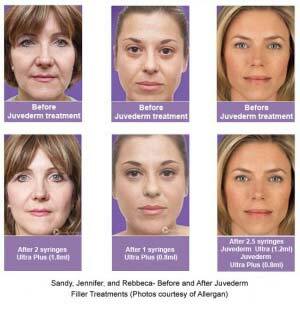 Some types of Juvederm lasts 6 months, others up to 2 years. The average duration is about 6-9 months. 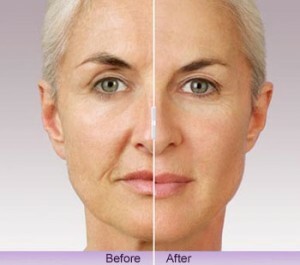 Juvederm stimulates the skin’s own collagen and the results can last longer. Maintenance of treatment will ensure your skin looks more refreshed and youthful. Thus, it can be used as a preventative anti-ageing treatment also.